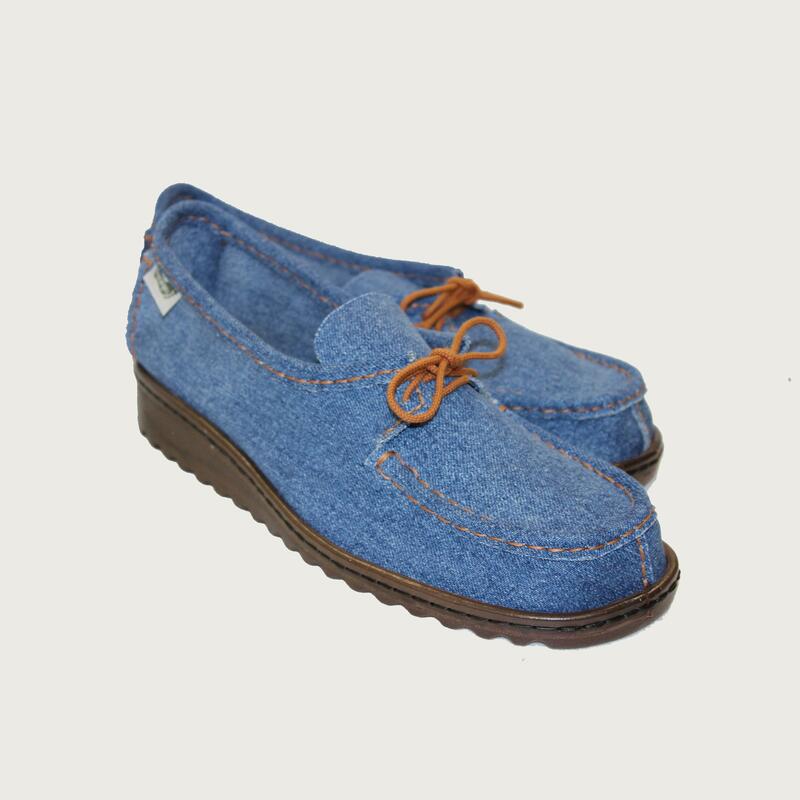 Denim Loafers for gents. Made of recycled denims, super light, fitted with padded handmade insoles and sewn by hand onto shock absorbing soles. This is a lower cut lace shoe and will put a spring in your step. Shown in Light Denim, also available in Dark and Black Denims.